Our handcrafted soaps hydrate and soften skin as they clean. Made with only saponified organic olive oil, saponified organic coconut oil, and pure, therapeutic grade essential oils, the soaps contain no synthetic additives, colorants, fixatives or detergents. 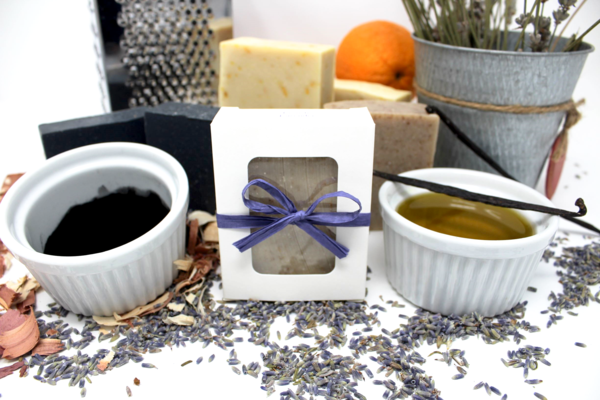 Natural olive oil soaps are softer than commercial bars and may draw in environmental moisture. Store on a dry surface for harder, longer lasting bars.